I am passionate about continuous and lifelong learning, with respect adult education. 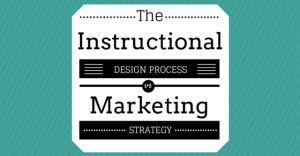 My business, Jennifer Baker Consulting, just celebrated its fourth year in business and throughout this time I continue to notice and connect the similarities between marketing strategy and the instructional design process. In the first blog I discussed the needs assessment, as well as the learner and contextual analysis. In the second blog I discussed developing a task analysis as it compares to the marketing plan. 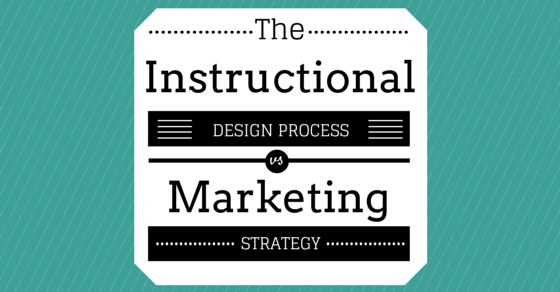 Today’s blog will focus on the development of instructional objectives. When completing my BEd in Adult Education, I found this topic extremely fascinating. The purpose of instructional objectives is two-fold. First, instructional objectives guide the instructor to develop course-appropriate instruction, which are devised from the needs assessment and task analysis. Second, instructional objectives allow for the development of learner evaluation. In formal education settings, evaluation of the learner is necessary to assess their progress, as well as the performance of the program. Instructional objectives are classified into three silos: cognitive, psychomotor, and affective domain. When developing curriculum it has been recognized that the cognitive domain tends to receive the most attention among teachers and instructors, likely because it focuses on knowledge, the recall of specific information, and comprehension, the lowest level of understanding. Progressing further within this domain, however, instructional designers can focus on application, analysis, synthesis, and evaluation of information, rules, principles, and relationships. It is in the latter areas of the cognitive domain where learners begin to develop critical thinking. The psychomotor domain focuses on developing the learner’s movement and muscle memory. In my experience the learner must first accomplish objectives within the cognitive domain (i.e. general knowledge of task), prior to accomplishing psychomotor objectives. When introducing a new topic, I provide an brief overview of the topic (i.e. knowledge), importance to businesses (i.e. comprehension), and the relevance to the learner (i.e. application). As you can see, I touch on three cognitive objectives prior to introducing the psychomotor objective. Within the psychomotor domain there are four levels, including imitation, manipulation, precision, and articulation. When working with beginners I focus on imitation, the level in which the learner first observes the task, and then performs it. However, when working with advanced users, I am able to focus on precision and articulation, levels in which learners can perform a task efficiently and effectively. Finally, the affective domain focuses on attitudes, values, and emotions, and considered the most difficult to write objectives. The lowest objective, receiving, refers to how the learner collects information through listening, awareness, and perception. This domain, I find, is more about developing an individual’s personal soft skills – which are very important. How is this going to compare to a marketing strategy? It’s cooler than you think! While this may be a bit of a stretch, I think it fits great! When developing a campaign, the marketer can segment the campaign process into three sections: educate, action, emotion. Firstly, a marketer wants to bring attention to their product, service, or cause (i.e. knowledge). To personalize the information, the campaign typically demonstrates how this product, service, or cause applies to a customer’s life (i.e. understanding). Once becoming knowledgeable about the product and its application, the marketer wants you to take action, which can include purchase of product or service, or donation (i.e. imitation). Many times traditional advertisements (i.e. television ads) ask viewers to take action through social media engagement on Facebook, or Twitter, which would be considered precision within the psychomotor domain. The final step, and the most important to a marketer, is characterizing, the fifth level within the affective domain. This level refers to a component “becoming part of his or her code of behaviour.” The product, service, or cause has become so entrenched in the individual’s psyche that it has become part of their daily regime. Think of everyone who needs their Tim Hortons Double Double or Starbucks latte before work. Similar to instructional design, creating loyalty is the most difficult task to a marketer, but it is the most important and valuable in the long run. This was a fun one! Next time we’ll talk about content sequencing!